Was it the uncorrupted beauty of the cloudless skies and show-off sea? Or the openness, depth and talent of my fellow participants? Or the generosity and brilliance of our leaders during the writer’s salon? Yes, yes and yes. 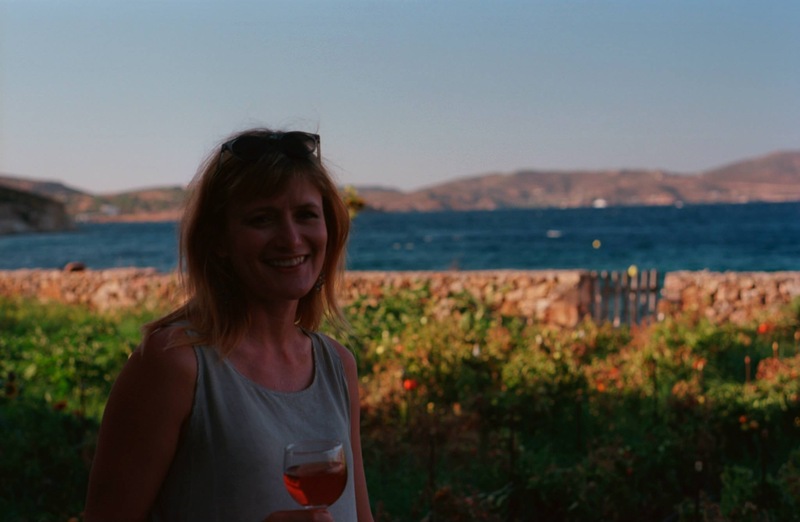 I’ve struggled to articulate the experience of spending almost two weeks on the Greek island of Patmos for a writer’s salon. It was just…so much. 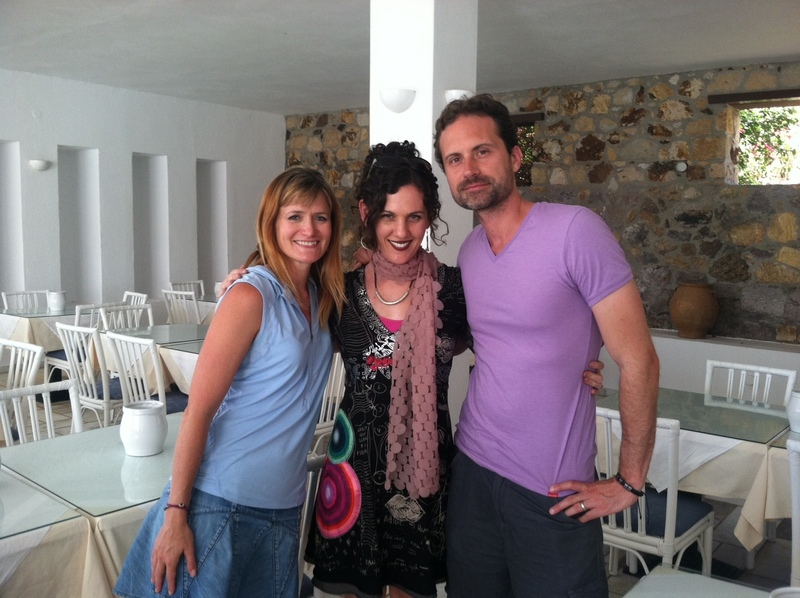 Let me introduce you to our fearless leaders, starting with Rachel DeWoskin. I’ll go ahead and admit that she is my latest author crush. Because of her I think about powerful nouns, am memorizing poetry, have a new favorite word (rollicking has replaced eclectic), and am creating imaginary gardens with real toads in them. I wish that I could take a class from her at the University of Chicago, but since that seems unlikely, I will pour over the notes I took during her lectures. She has written a bunch of books – I am in the process of reading them all. You probably should too. Zayd Dohrn is a playwright and screenwriter, who is incidentally, married to Rachel. Aside from his fascinating family background (no joke on the born underground part of his bio), I found that his teaching was so packed that there are sentences that I am still pondering (like – you can’t have reincarnation without death). As I polish my first screenplay, I was especially drawn to his emphasis on a character’s inner life being shown through action; story pushing character to reveal who she really is. And then when he made reference to the abolitionist and Lawrence, Kansas hero John Brown, I wanted to stand up and give him a high five. I settled for this picture, which I may end up framing with the notes both he and Rachel so thoughtfully wrote on our last day. 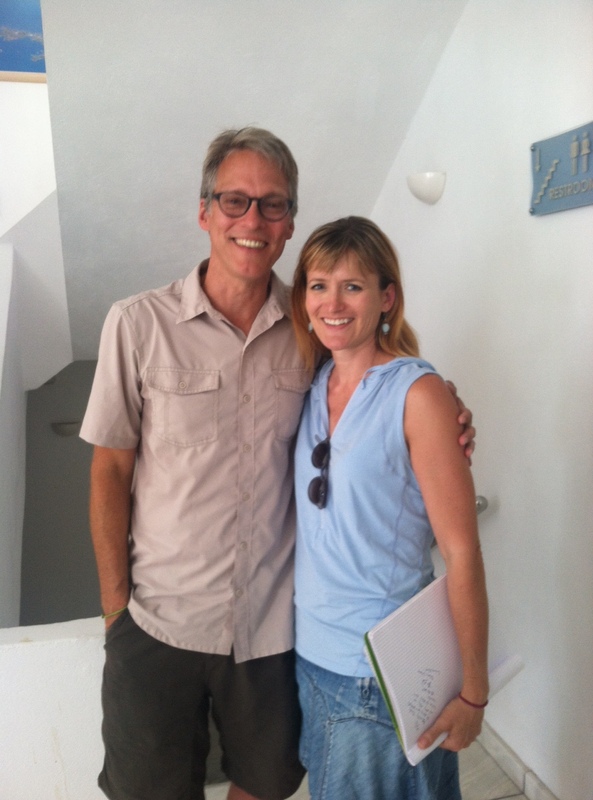 Brian Lindstrom added such a richness to this education on storytelling. As a documentary filmaker, he’s spent his career telling other people’s stories, with an emphasis on those whose voices are often not heard. His empathy for his subjects, as well as his attention to the responsibility and privilege it is to bear witness for someone else, had a powerful effect on me. When talking about the interview as a way know someone’s story, he said to see it as an opportunity to go deeper and that silence is your friend. Such wisdom for all of life, really. I was so drawn by Brian and his work, that it makes me wonder if I shouldn’t look for opportunities to write about other people’s lives. 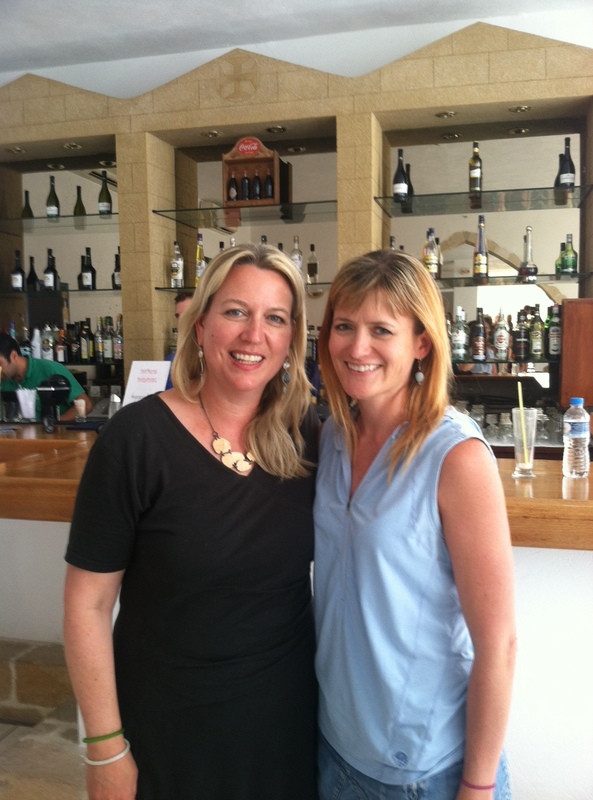 Cheryl Strayed is indeed as cool as you might imagine (and she’s married to Brian!). Surely you have read Wild and Tiny Beautiful Things – so you know how gifted she is as a writer. But you may not realize what a presence she is, beyond the words so beautifully crafted on the page. *** Clarity is a light switch flipped; transformation is a slow rise in a warm kitchen. *** The strength is the weave of human connection; solitude is my security and peace. *** Nothing will ever be the same; some things never change.